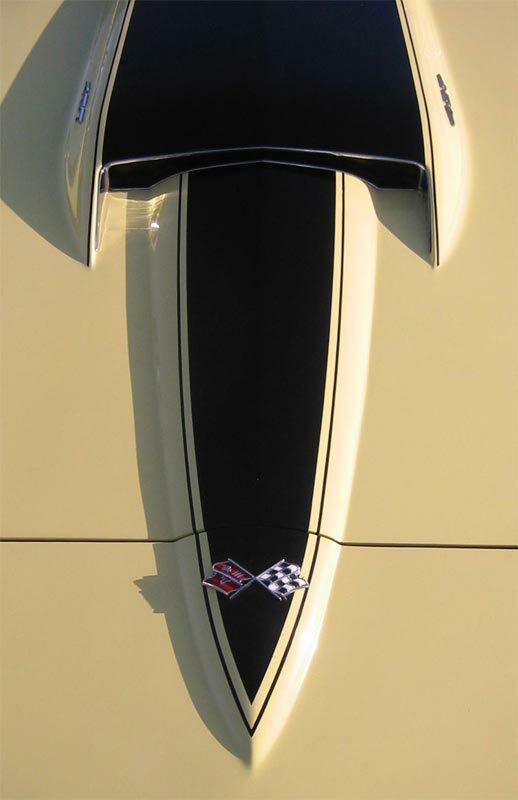 The "Stinger" hood - featured only on 1967 big block (427 cubic inch motors) equipped 'vettes - is a Corvette classic. Its effect is to somehow magically cause wallets to open up very wide whenever one is offered for sale. They were usually painted in contrasting colors at the factory. 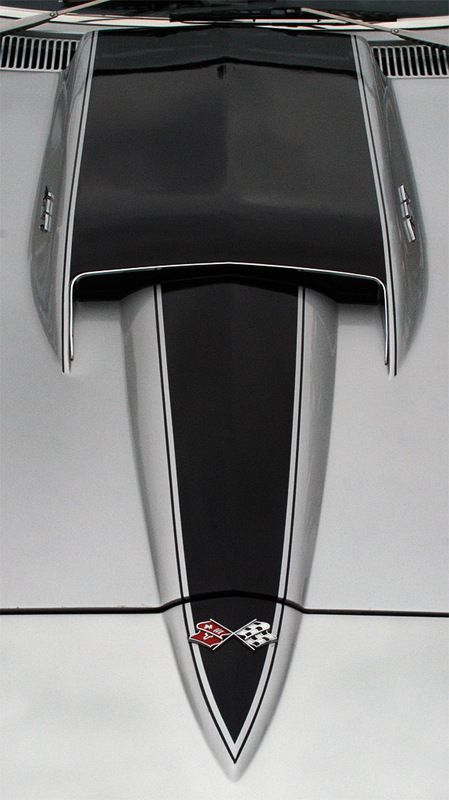 Above: Back-up illumination was located just above the rear license plate for 1967 only. 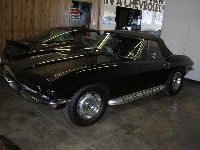 Below Right: A Corvette Stingray equipped with an automatic transmission was a bit of a rarity in 1967 and most of the other mid-year models. Only about 10% were so equipped, which says a lot about the buyers and their cars. 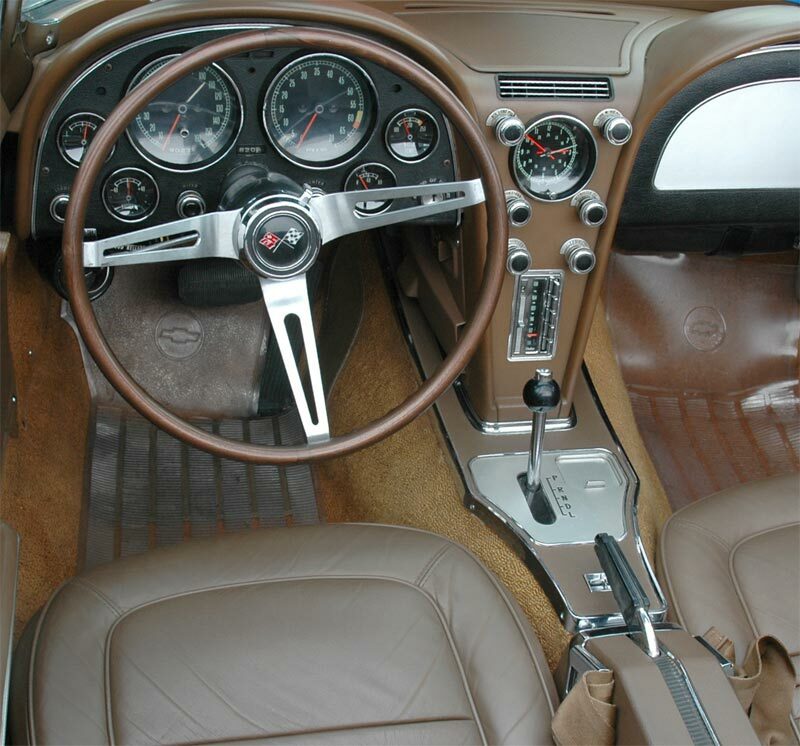 There were some changes in the 1967 Corvette Stingray interior, including the movement of the emergency brake to the center console between the passengers. 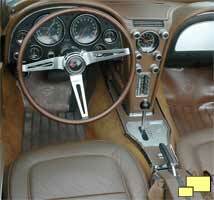 Previously it was located under the dashboard and accessible only to the driver. 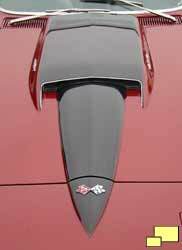 The change moved the Corvette Stingray closer towards its sports car intentions. 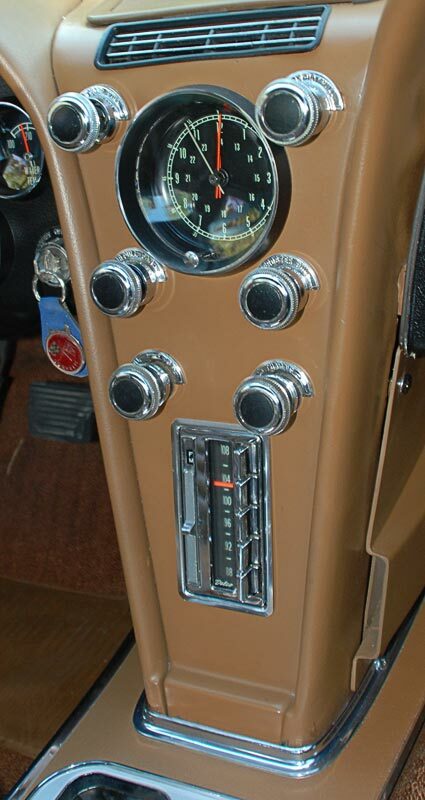 Other safety related changes appeared, including an energy absorbing steering column, a thicker dash pad, and mushroom shaped knobs. 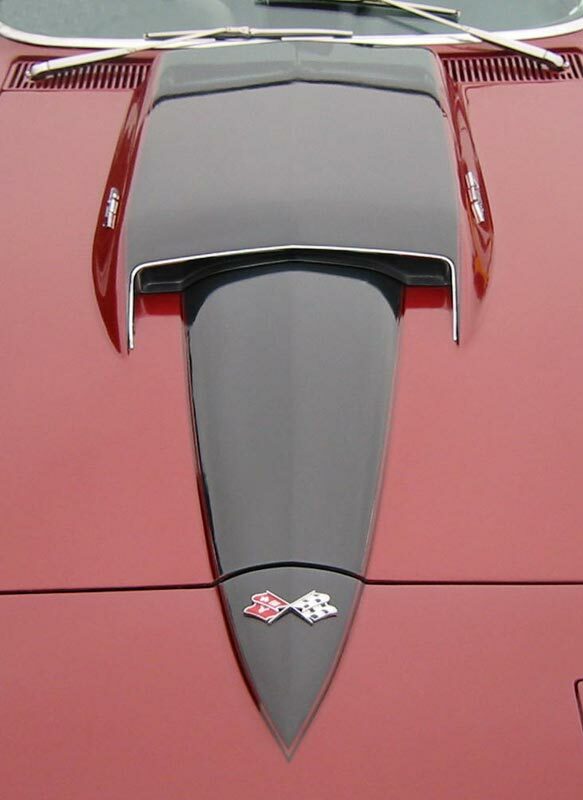 A dual circuit brake master cylinder was standard in all Corvettes and included a warning light if one of the circuits failed. 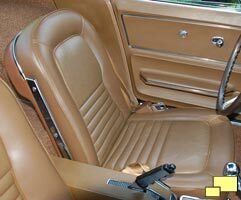 Other changes included a shatter resistant vinyl padded rear view mirror with a break-away mount, four way emergency flashers and a "freeway lane change" function on the directional signal switch. Headrests (RPO A82, $42.15) were an option. 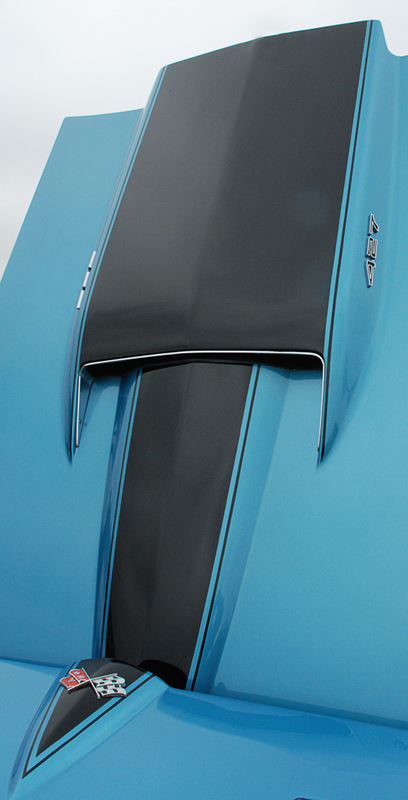 Most of the changes would soon become law, but the 1967 Corvette Stingray jumped the gun a bit. 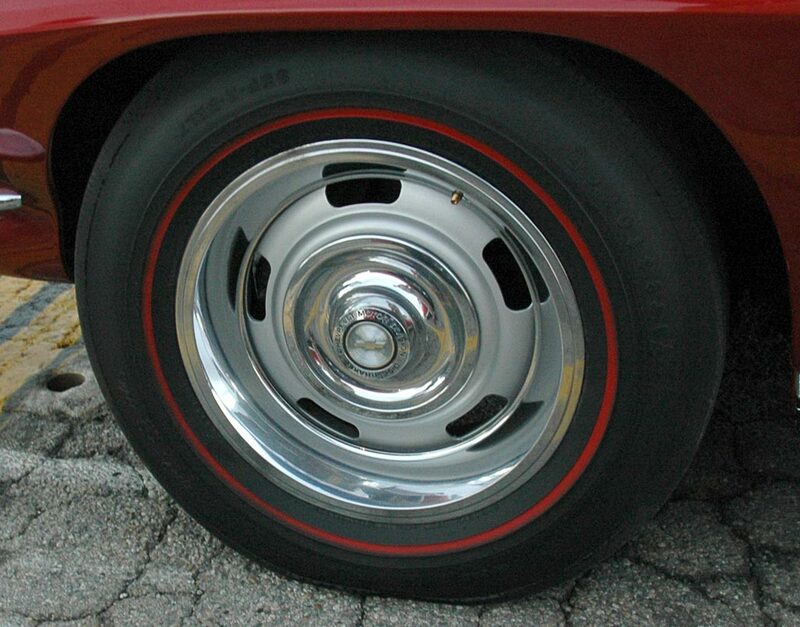 Rally (sometimes known as "Rallye") wheels made their debut on the 1967 Corvette Stingray as the standard no cost wheel. They were an immediate success despite their simplicity, being a silver painted steel wheel with a hubcap and a beauty ring. 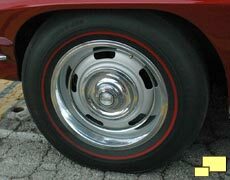 They were available on other Chevrolet models and continued as the standard Corvette wheel until 1977. Shown with Redline tires (RPO QB1, $46.65). 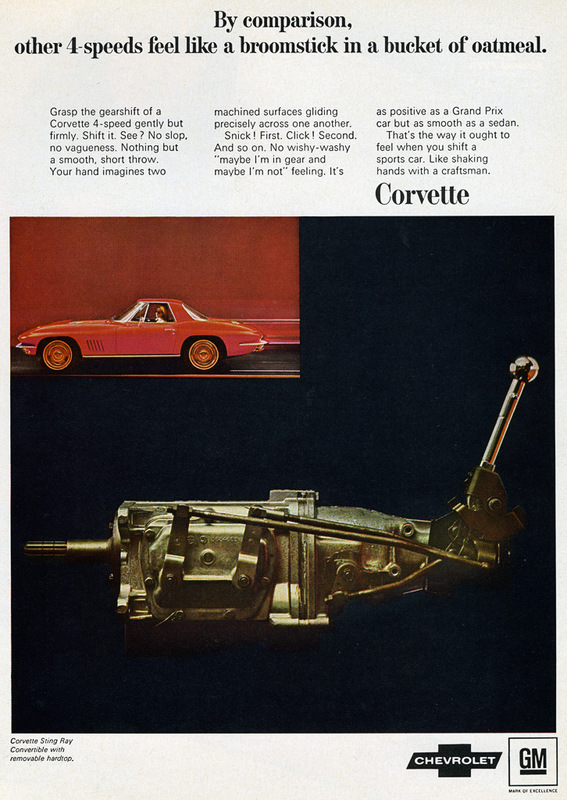 Left: Ad for 1967 Corvette Stingray which featured the four speed manual transmission revealed a lot about GM's Corvette intentions, it's owners and automotive philosophy. 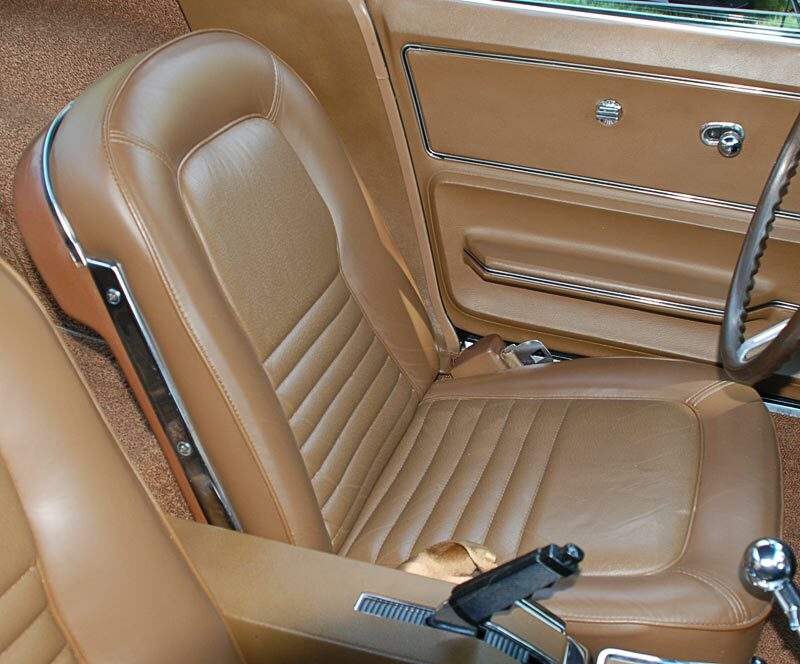 Even in 1967 many automobile designs tried to remove the driver from the function of driving as if it was a chore to be avoided. 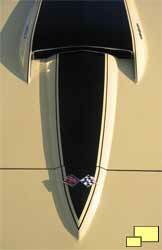 For Corvette owners, driving was an art and the tools, such as a solid manual transmission, enhanced the experience. 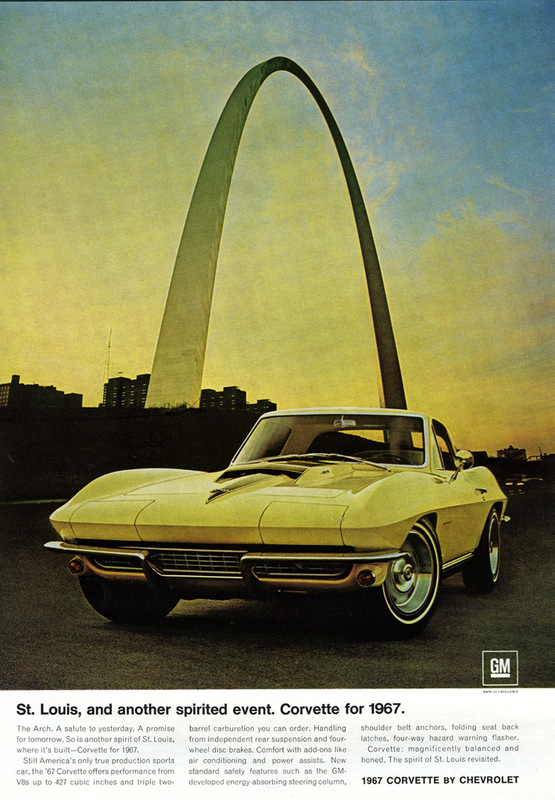 Right: print ad extolling the virtues of the 1967 Corvette Stingray big block 427 engine, innovative safety features and its St. Louis MO manufacturing roots.